Eskimi is one of the free online dating apps in Nigeria – a social networking site, chatting and fan finding app. It is similar to Tinder but way older than Tinder. 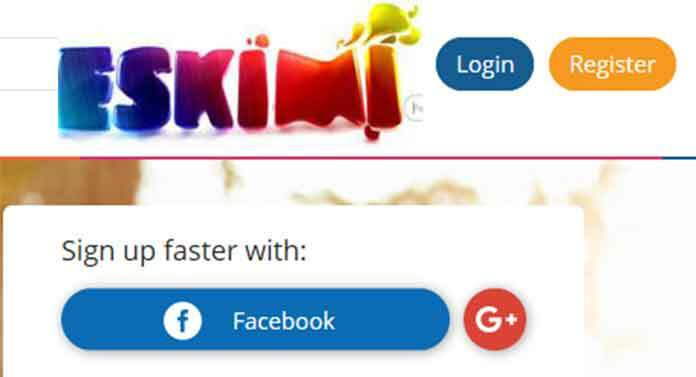 Although other social networks such as Facebook, Twitter, and Instagram, are seemingly popular than Eskimi, however, the latter has some remarkably distinctive features. It is easy to find new friends around you, hook up with a dream job and even listen to the latest music on Eskimi music powered by iRoKing. It was first launched in the year 2010 and gained popularity in Nigeria between 2011 and 2012. It is a social app for making friends, chatting and meeting all sorts of people within your states, city or areas surrounding you. So if you are looking for friendship, casual hookups or looking for new friends, Eskimi will be right for you. The current version of the Eskimi app download is meant for existing users of the service. If you are new, you can sign up with Facebook or Google+ account on a desktop. With over 16 million users worldwide, there’s a huge availability of people across age, races, and all walks of life. The app can be used on mobile or on a desktop. You will see a new screen to register or login with your Facebook. You will be congratulated and shown a pop up to snap a photo or upload from gallery. Registering on Eskimi is very easy. If you use a desktop all you need to do is visit www.Eskimi.com. You can also download the Eskimi software for your laptop. For mobiles, however, you can get it on your phone’s mobile store. So if you use an Android phone all you need to do is visit Google Play Store, go to the search bar, type in Eskimi and download the app. If you use an Apple, to the App store, search for the app and then download it. Eskimi app though has seen a decline in several months, it was last updated over a year ago, so there are some bugs which have been complained about which are yet to be fixed. So, going on Eskimi now should be done with a pinch of salt. There are also a lot of negative reviews of the app on the Google Play Store, way more negative reviews than positive. Another note of warning is to avoid fraudsters. Eskimi is used as a tool by advance fee fraudsters and other kinds of scammers. So you should be careful giving out money to those you meet online. You should also not give out personal information to those you meet on Eskimi or other social networking sites. I assume you have already opened an account, just log in to enjoy loads of Nigerian music downloads from iROKING’s catalog of 35,000+ tracks streamed from over 400 of West Africa’s top recording artists, on your mobile device. You can also listen to music online without even signing in on the Eskimi Music download portal – which is a fabulous experience for subscribers.